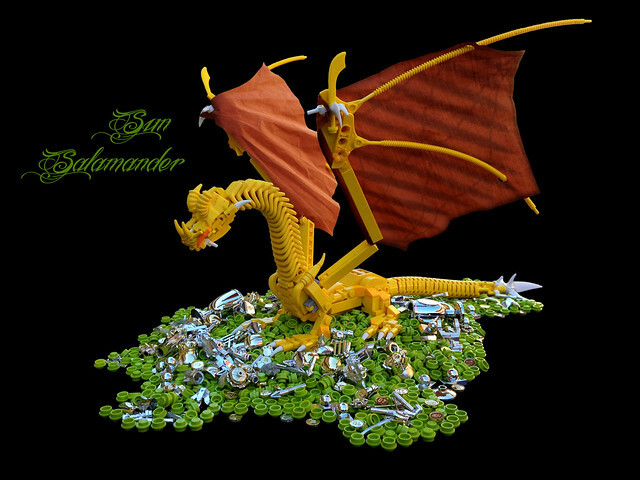 Yes, in the description of this stunning MOC by Siercon and Coral says Sun Salamander, but I think I'll nickname this dragon "Enpiyu" (say it out loud, you'll get it). It's been a while since I've seen so many clever techniques and part use in a single MOC. From the life jacket neck to the rip cord wings and from the watch band belly to the banana and flex tube horns this thing is awesome.